Charles R. Ullman of Wake County’s Charles R. Ullman & Associates points to survey showing dramatic increase in divorce court evidence from cell phone calls, texts and social media. Just like the lawyers in the survey, we’ve increasingly seen cell phone messages and other electronic communications used as evidence in the last few years. Citing a recent survey of divorce lawyers, Raleigh family law attorney Charles R. Ullman says individuals involved in separations or divorces should be aware that an electronic paper trail can be their undoing if it contains unflattering evidence that can be used against them in court. “Just like the lawyers in the survey, we’ve increasingly seen cell phone messages and other electronic communications used as evidence in the last few years,” says Ullman, whose Raleigh family law firm, Charles R. Ullman & Associates, represents clients in divorces, separations and related matters throughout North Carolina. “Text messages, instant messages, cell phone call records and even Facebook postings are being cited more and more as evidence to devastating effect in divorce proceedings,” Ullman says. Ninety-percent of the attorneys surveyed by the American Academy of Matrimonial Lawyers said the use of evidence from cell phones had increased dramatically in the last three years, according to an article on msnbc.com. Additionally, 94 percent said text messages were increasingly being used as evidence. The survey also found that 81 percent of respondents cited an increase in evidence being used from social media outlets, such as Facebook. Ullman said the evolution of the electronic paper trail has implications for both sides in a divorce. “It follows that, as this kind of evidence is increasingly available, divorce lawyers will seek to either obtain it or have it excluded, depending on which side of the case they are on,” Ullman said. Ullman said the Raleigh divorce attorneys of Charles R. Ullman & Associates have successfully argued both for and against the use of evidence in Wake County and other North Carolina courts as part of their aggressive advocacy for their clients. “If you are headed toward a divorce, you need to take care that you don’t hand the opposing legal team a weapon,” Ullman said. The Raleigh family law firm of Charles R. Ullman & Associates, located on 109 S. Bloodworth St. in Raleigh, N.C., concentrates on family law, including divorce, child custody, child support, visitation, alimony, post-separation support and equitable distribution. 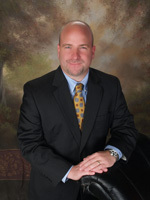 Ullman is also a trained collaborative law attorney. For more information, contact the firm by calling (919) 829-1006 or use its online form.